The track was in Harvard, MA at Fruitland’s museum, which is described online as: a cluster of small historic buildings in Harvard, Massachusetts on the former site of the unsuccessful utopian community, Fruitlands. The historic buildings sit on a gorgeous property at the top of a hill, on which they built the ~1.5mi track. The obstacles were one required dismount (a set of stone steps) and two steep and slippery hills of ~20′-30′ elevation gain. 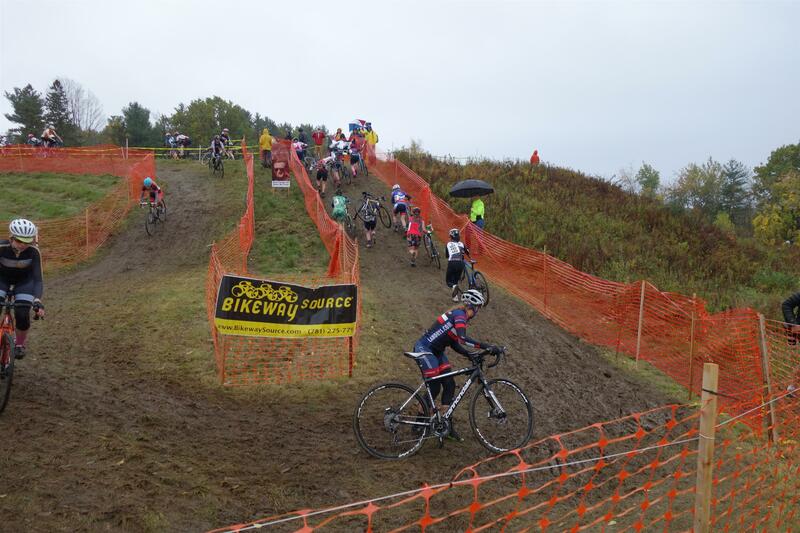 Most chose to run up those hills, but some of the more elite racers were riding them. Otherwise the course was pretty wide and grassy, with a long gradual uphill, lots of fast curvy sections and a few other ups and downs. I didn’t get a great start but at least made it to the line in time, and then was able to push past a few riders on the first lap before settling in with a small group. For the next 4 laps we passed a few riders who could no longer hold their pace in front of us. Since I was only the 2nd race of the day the course wasn’t very torn up yet, but I still saw several riders slide out around a few of the fast, off-camber corners in front of me. At the finish, I was able to hold off another rider who had been on my tail for the last few laps, in a sprint to the finish. It was my best yet, 12th of 45 overall in Men’s Cat(egory) 4/5. 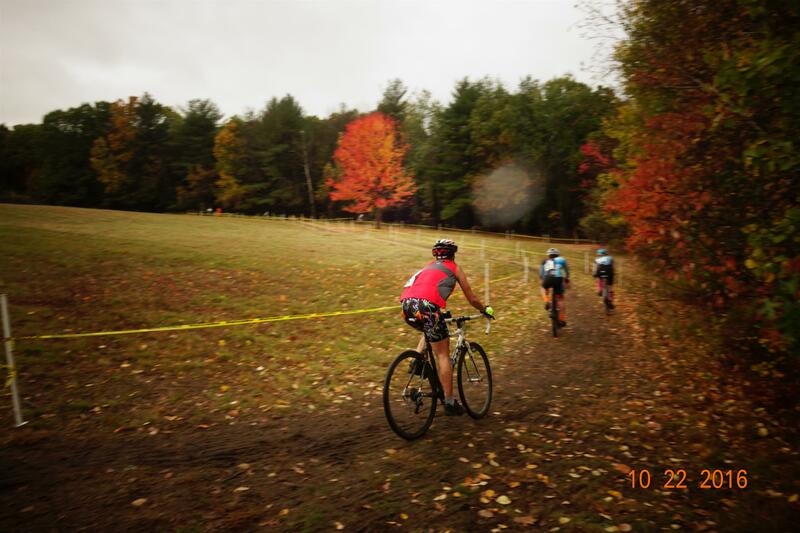 Picture of me we found online, rounding the last corner before the finish straight. Between races we had over 3 hours of nervous-anticipation until Rachel’s race (Women’s Cat. 4). We watched the other races and Rachel continued to practice on the course in between. The course was getting more torn up and slippery with every race, and just before her’s it began raining again which didn’t rider’s traction but luckily it died down half way through. Regardless, she performed spectacularly. She had been very concerned about how and where to pass people (I did my best to explain she didn’t need to be polite or worry about the other person when doing so), but she seemed to get the knack of it very quickly. Rachel and other racers at the beginning of her race! She was happy to be lined up near the back of her group of 28 to start, and while waiting, three other girls admitted it was their first race as well, which helped calm her nerves. Then the race started, and she eased her way through the pack. 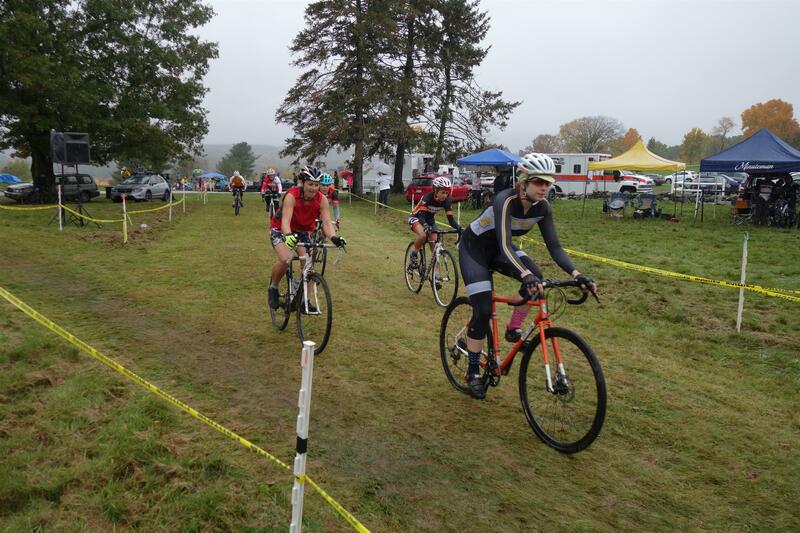 With her mountain biking experience, she seemed to feel at home in the slippery terrain and had enough fitness to push past other riders as needed. I was very excited and proud to watch because her position improved with every lap and she seemed to be having fun. In the end she was 9th of 28 overall, after 4 laps. 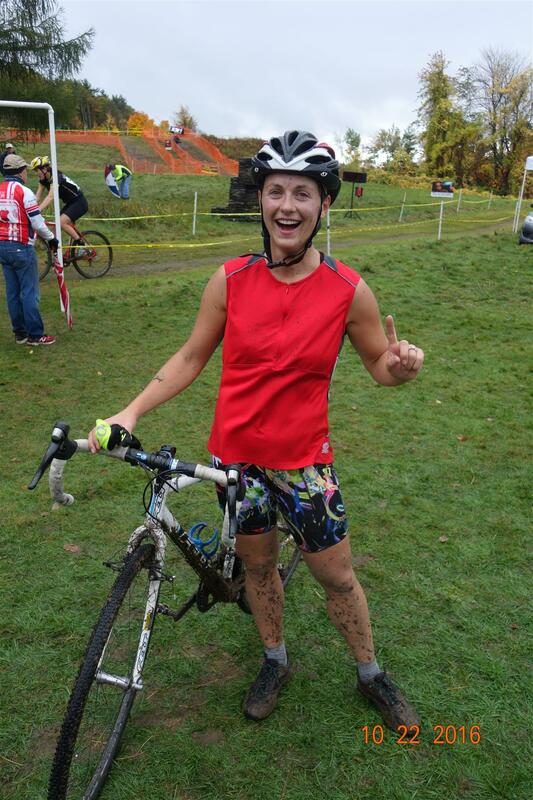 Rachel after a great performance in her 1st race (hence the 1 finger)! 1J5. Jerseys must be worn in all races and shall cover the shoulders. (a) Sleeveless jerseys are allowed only in non-international MTB races and individual time trials…. Fortunately, the slight worrying didn’t affect her riding, and they didn’t disqualify her. Overall the day was a great success and I can’t wait to race and watch Rachel race again next weekend! Previous PostRun MDI 2016Next PostSecond race, 2nd place! Way to go daughter!!! You are so cute and so strong!